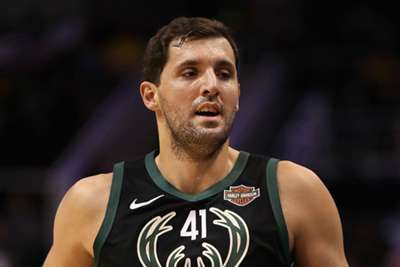 The Milwaukee Bucks have been dealt a blow with the news forward Nikola Mirotic has been ruled out with a thumb injury. An X-ray and further exams confirmed Mirotic suffered a fractured and sprained thumb in Tuesday's win over the Los Angeles Lakers. Mirotic's timetable to return is reported to be two to four weeks, meaning he could miss the start of the playoffs, which begin on April 13. Despite the injury, Mirotic scored 23 points in 24 minutes in the 115-101 win over the Lakers. He has been a key player off the bench since the Bucks acquired him from the New Orleans Pelicans in February. Mirotic has appeared in 14 games and has averaged 11.6 points, 5.4 rebounds and 1.4 assists. The Bucks are aiming to secure the top seed in the Eastern Conference and have a three-game lead over the Toronto Raptors. Great win, great atmosphere, great TEAM!! Bad luck with my injury but I will be back soon and stronger! Gran Victoria, gran atmósfera, gran EQUIPO!